A graduate of the College of Law. I hold a LLB and LLM from the University of Leicester. I also studied political science at Manchester Metropolitan University. My interests are foreign policy, conflict resolution and women's rights. These were the comments of Australian foreign minister Julie Bishop at a meeting of the Australia Group, an informal international forum that focuses on stopping the export and development of chemical and biological weapons which took place on 6th June in Perth. The Syrian opposition has always had, and occasionally used, chemical weapons, as, formerly, did the Syrian government. However in an era in which the Free Syrian Army scarcely exists anymore, its former fighters have either joined ISIS or Jebat al Nusra, taking their modest stock of chemical weapons with them. Multiple reports from the area where the battle with ISIS is currently raging have suggested that the group has already used chemical weapons, although in an arena in which few journalists are present it is hard to distinguish fact from intelligence agency feeds. Kurdish authorities had previously claimed that ISIS had used chlorine gas against Peshmerga fighters. One alleged incident took place when Peshmerga fighters were busy reinforcing their positions on a highway between Mosul and the Syrian border when they came under attack from an ISIS suicide bomber driving a truck filled with toxic chlorine gas early this year. The truck was destroyed before it had a chance to detonate near soldiers. However, shortly after the attack, it was reported that dozens of fighters had experienced “dizziness, nausea, vomiting and general weakness” after being exposed to gas. As the one year anniversary of the so-called “caliphate” declared by ISIS approaches, the group will be seeking to make itself appear stronger, according to Charlie Winter, a researcher at the London-based counter extremism think tank the Quilliam Foundation. He claims ISIS will be “more active than ever” over the coming month. “There is a concerted effort to appear as relevant as ever, stronger than ever and more defiant than ever in the face of international opposition,” he added, saying the group would be planning “more violence, more advances, more attacks”. Following the capture of the ancient city of Palmyra, a UNESCO World Heritage Site in Syria, there are mounting fears for its ancient relics at the hands of ISIS. 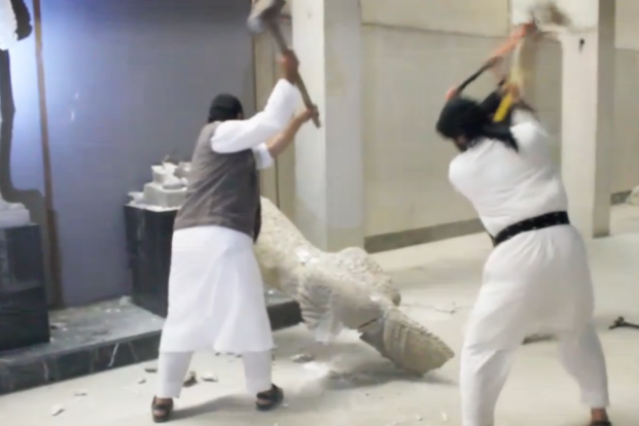 The deplorable scenes of ISIS militants toppling and smashing statues and carvings in Mosul’s museum and the destruction of the ancient Iraqi city of Hatra in early March 2015 sent shock waves throughout the international community, providing insightful evidence of ISIS’s complete disregard for cultural property. “It is also a means of asserting their authority and saying ‘We are in charge, we will do what we want and we don’t care about the outrage this causes’.” He suggested the group was following the example set by the Prophet Mohammed’s destruction of idols in Mecca. “These statues and idols, these artefacts, if God has ordered its removal, they became worthless to us even if they are worth billions of dollars,” said Maher. However this is nothing new. Last July, ISIS demolished shrines cherished by Jews, Christians, and Muslims alike, such as the tomb of the Prophet Jonah in Mosul and the shrine of Prophet Seth, who was considered the third son of Adam and Eve. Despite public denouncements, no concrete action has so far been taken by any government or intergovernmental organization. Poor security in the region has enabled ISIS to seize control of vast territories in Iraq and Syria, allowing it to enforce its puritanical interpretation of Islam unabated. The Iraqi Ministry of Tourism and Antiquities asked the international community to intervene to help it protect its cultural heritage but the U.S. issued a statement ruling out airstrikes to protect Iraqi antiquities for lack of sufficient partners “on the ground.” This is not the first time Western powers have declined to intervene to protect Iraqi cultural property. During the Gulf War, the U.S. and British governments promised to protect the Iraq Museum in Baghdad, but failed to do so resulting in the major looting of thousands of antiquities in the museum. If the world continues to sit by and do nothing then the history of civilization will be slowly wiped out. Earlier today (24th April), an Iranian flotilla bound for Yemen, suspected of carrying weapons for Houthi rebels, averted its course and turned back. According to U.S officials, Iranian cargo ships, accompanied by two Iranian warships, shifted course as a U.S. aircraft carrier, the USS Theodore Roosevelt moved within 200 nautical miles of the flotilla. This move averted a potential confrontation between the Iranian and American warships. Following this incident which took place in the Gulf of Aden, officials claim it is still too soon to tell if a crisis has been averted. 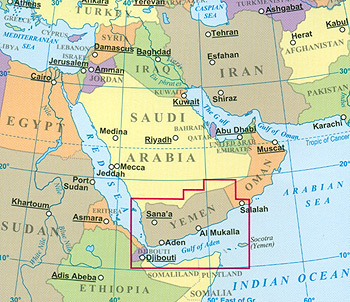 The conflict has sent tensions soaring between Sunni Saudi Arabia and Shiite Iran, raising fears that Yemen could become a new front in what some believe to be proxy war between Middle East powers. Yemen’s Foreign Minister Riyadh Yassin accused Tehran of trying to break a naval blockade on his country, describing the war as an “Iranian plot implemented by the Houthi militia”. After four weeks of ruthless airstrikes, more than a 1,000 civilians have been killed with over 4,000 injured and 150,000 displaced in Yemen. The Saudi-led coalition has destroyed many of the Houthi rebels’ sites and weapons but with Iran’s support they seem to be surviving. The Saudis are nowhere near to restoring the Yemeni president, Abdu Rabbu Mansour Hadi who was driven into exile in Saudi Arabia. The US has been helping Saudi Arabia with intelligence and tactical advice and by deploying warships off the Yemeni coast. However with the numbers killed rising and no resolution in sight, they are now urging them to end the bombing. The Obama administration seems to have realised that the Saudis appear to have no credible strategy for achieving their political goals, or even managing their intervention. Saudi Arabia’s much-publicised creation of a Sunni coalition to fight “the Iranian and Shiite threat” in the Middle East took two major blows when Pakistan and Turkey opted out of the coalition after having initially indicated that they would join. Riyadh worries that Iran is emerging as a legitimate player on the regional and global stage and Washington no longer perceived as a reliably anti-Iranian force thus potentially jeopardising its relationship with the Americans. 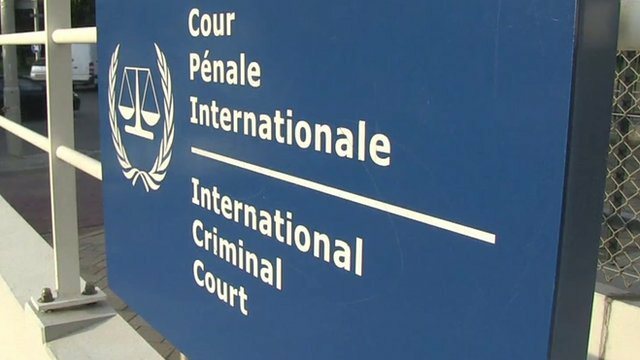 The United Nations had previously led a diplomatic initiative which made some progress, but was not given enough support and attention and the official leading the negotiations, Jamal Benomar, resigned. Finding a political solution will not be easy. For one, it will require Saudi Arabia to accept the Houthis as part of the governing power structure if there is any hope of bringing some stability to the country. In 1993, al-Douri was involved in the state-sponsored Return to Faith Campaign which sought to encourage devotion to Islam in Iraqi social life. This saw aspects of Islam fused into the Iraqi media, educational system and judicial system. Then in 2013, al-Douri addressed the Sunnis saying: “The people of Iraq and all its nationalist and Islamic forces support you until the realisation of your just demands for the fall of the Safavid-Persian alliance”. Following the 2003 Iraq war and the fall of Saddam, al-Douri spent nearly a decade in hiding, with many believing him to be dead,before re-emerging as the spiritual figure head of a movement dedicated to restoring the Ba’ath Party to power. The US set a $10m bounty on him. 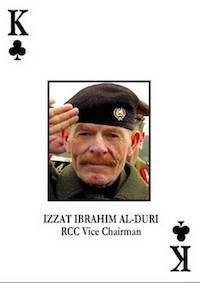 Izzat al-Douri was one of Saddam’s most trusted aids, helping to lead his 1968 coup.